If you prefer the bright shine ,925 Sterling Silver, not Silver with an Anti-Tarnish coating, which tones down the bright shine we all love, you need easy ways to clean it. Up until the industrial revolution, silver never tarnished? Imagine that. But with the pollutants that came from the industrial revolution, namely sulphur, we also got tarnishing .It is a chemical reaction, with the most common source through the air (pollutants) also bad for humans. Hot Water (just before boiling) – I use my electric tea kettle. Note: Oxidized details (like lettering or other designs) are not suited for this as the cleaning may take away some of the oxidized details. Use a polishing cloth for this type silver items. Well the silver sulfide which is the dark, black formed on your silver pieces also loves Aluminum, well more than Silver. So when you put the piece of tarnished Silver touching Aluminum, add the Baking Soda, and hot water you trigger an electrochemical reaction. 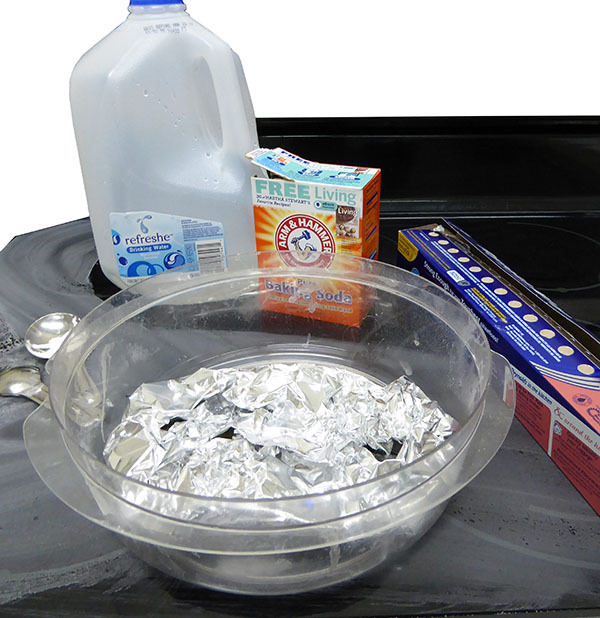 The Baking Soda in hot water creates a reaction which allows the silver sulfide to transfer from your Silver to the Aluminum. The silver must be touching the Aluminum for this to work because a small electrical current flows between the silver and aluminum, which is what makes it work. 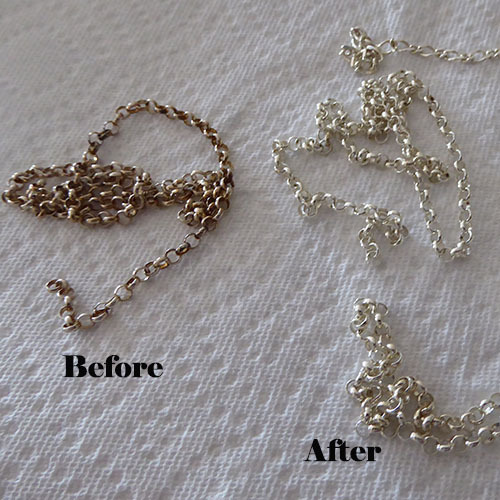 After a few minutes, remove the silver pieces from the water and rinse clean. 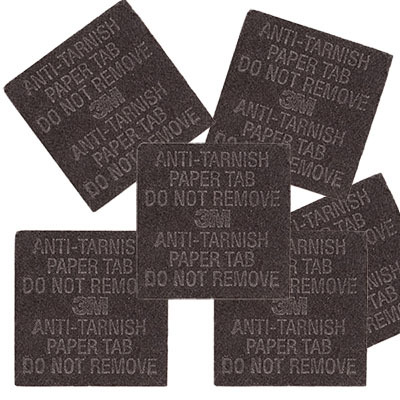 If there is still tarnish, you can repeat the process. Absolutely Never wrap your silver in plastic. It holds in any moisture. Avoid touching the silver with lotions and creams – great for the skin but not for silver. 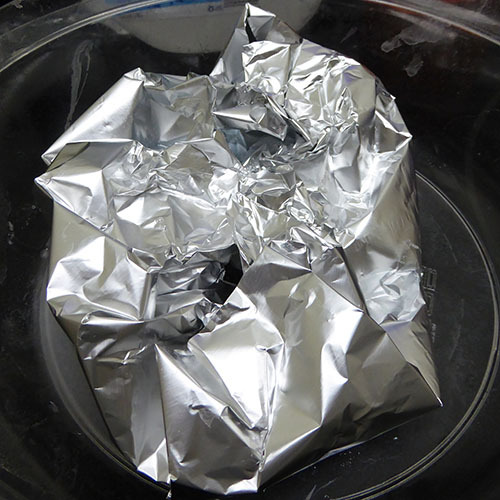 Do not use on plated silver because a light plating may become dull. Do not use this on any jewelry or silver pieces which have beads,crystals, crystal pearls, pearls or stones as the hot water and baking soda may damage them. Sulfur in the air in your location. Prevention is obviously the best solution! ← Calcedonia Glass – Technique from the 15th Century, Lost and ReFound!